TONY ISABELLA is the creator and writer of Black Lightning; co-creator of Misty Knight and Tigra; writer of Captain America, Champions, Daredevil, Dracula, Ghost Rider, Grim Ghost, Hawkman, Iron Fist, the Living Mummy, Luke Cage, Spider-Man, Star Trek and many others. TONY ISABELLA, like Superman, was born in Cleveland, Ohio. The 45-year comics industry veteran was an editor and writer at Marvel and other publishers. 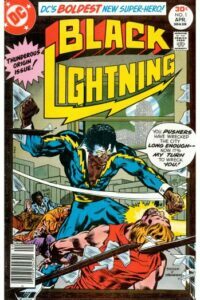 At DC, he created Black Lightning, the company’s first prominent African-American super-hero. He co-wrote the prose novels Captain America: Liberty’s Torch and Star Trek: The Case of the Colonist’s Corpse. 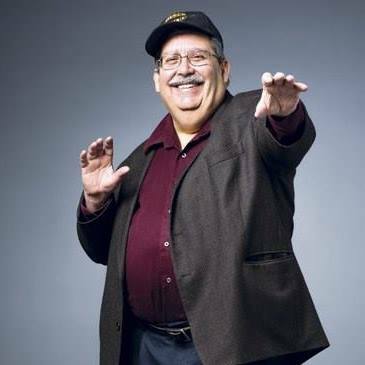 He’s the author of 1000 Comic Books You Must Read, one of the most successful books of comics history and nostalgia ever, and the odd-but-strangely-wondrous July 1963: A Pivotal Month in the Comic-Book Life of Tony Isabella Volume 1. He was the lead reviewer and a contributing editor of Comics Buyer’s Guide for two decades. He was a comics retailer and distributor for twelve years. He has done ghost-writing for several syndicated comics strips. He received the Inkpot Award at the 2013 Comic-Con International in San Diego and a Pioneer Lifetime Achievement Award at the 2017 East Coast Black Age of Comics Convention. Cleveland Magazine named him one of that city’s most interesting people of 2018. Tony’s most recent comics work is the six-issue Black Lightning: Cold Dead Hands, marking his return to his creation. He writes the daily “Tony Isabella’s Bloggy Thing” and the weekly “Tony’s Tips” review column. He lectures at colleges and libraries on comics history, comics writing and diversity in comics. While developing several new projects for comics, movies and more, he is writing books that include both a “memoir-of-sorts” and compilations of his writings on comic books and his beloved B-movie monsters. Perhaps most notable…Black Lightning is now a weekly, live-action series on the CW. The show has drawn much of its inspiration from Isabella’s comic-book work on the character. Tony has heard of something called “retirement,” but it is an alien concept to him. He lives in Medina, Ohio with his wife Barbara, his two all-grown-up children Ed and Kelly, and his cat Simba. Except for the cat, they all have much better and saner jobs than he has. The cat doesn’t need a job. She has Tony.